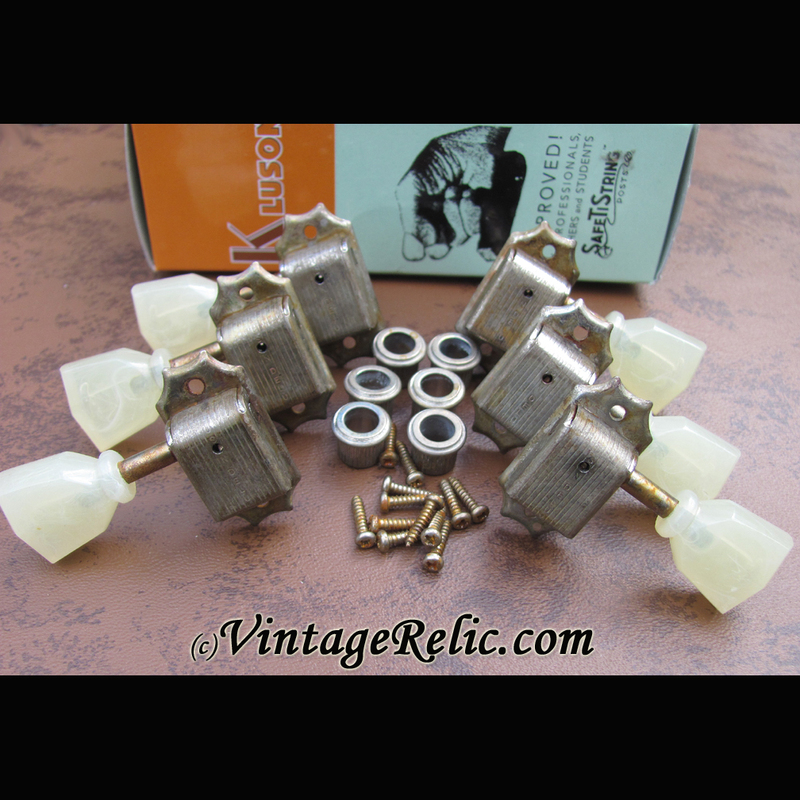 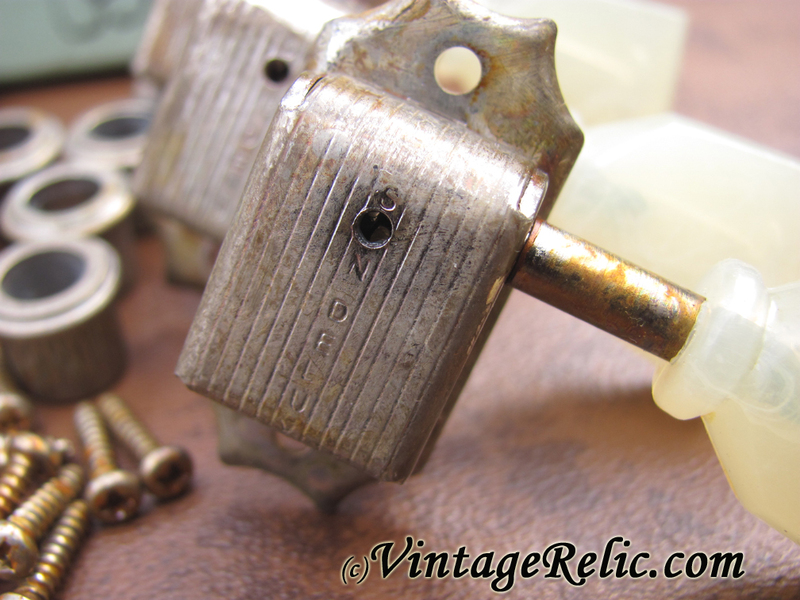 "Kluson Tuners (1956-1959) 3L3R [aged]"
Aged Kluson Tuners (3L3R) for Gibson. 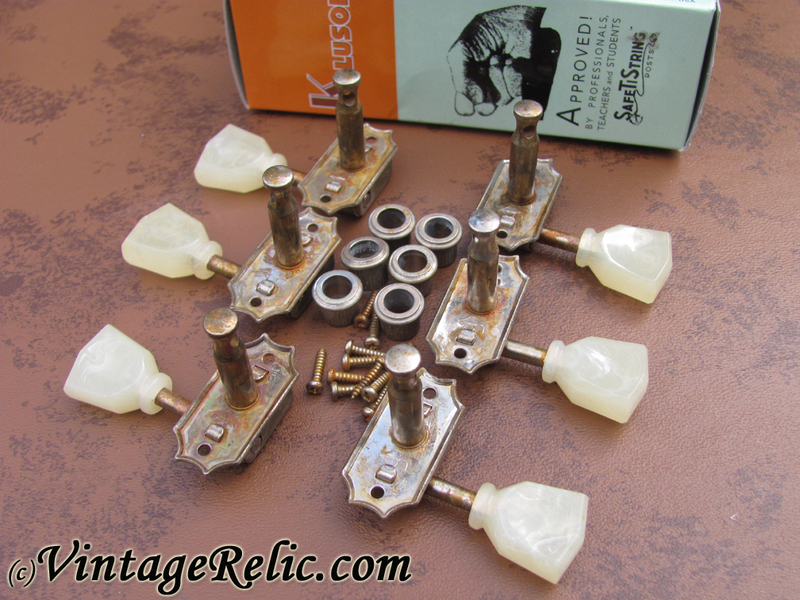 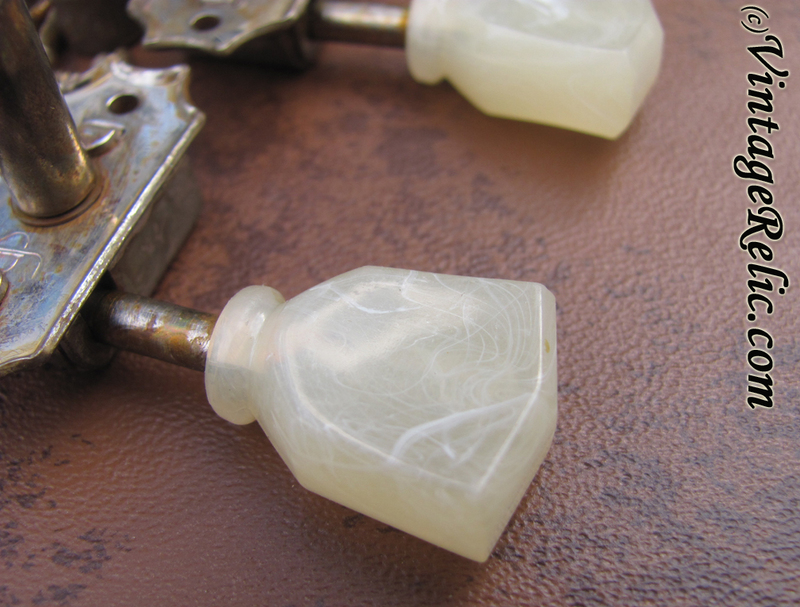 Single Line, Single Row, Nickel with pearl colored plastic buttons. 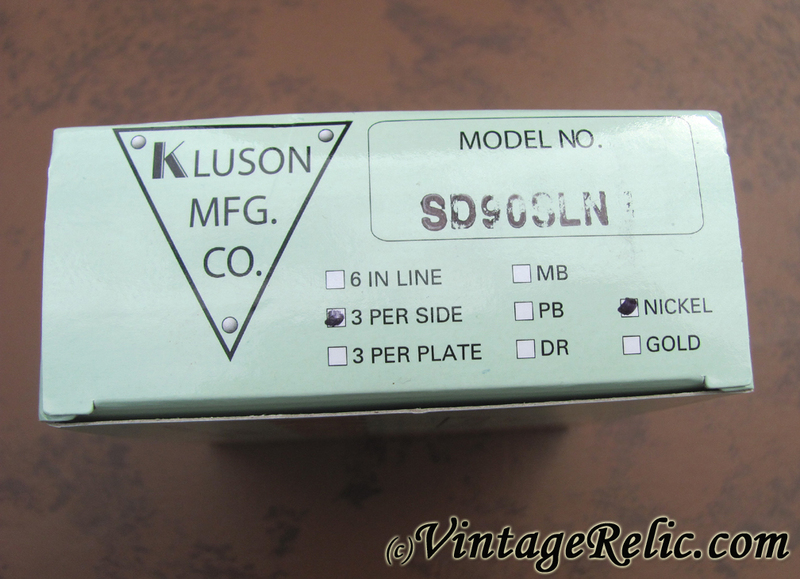 Kluson model #SD90SLN. 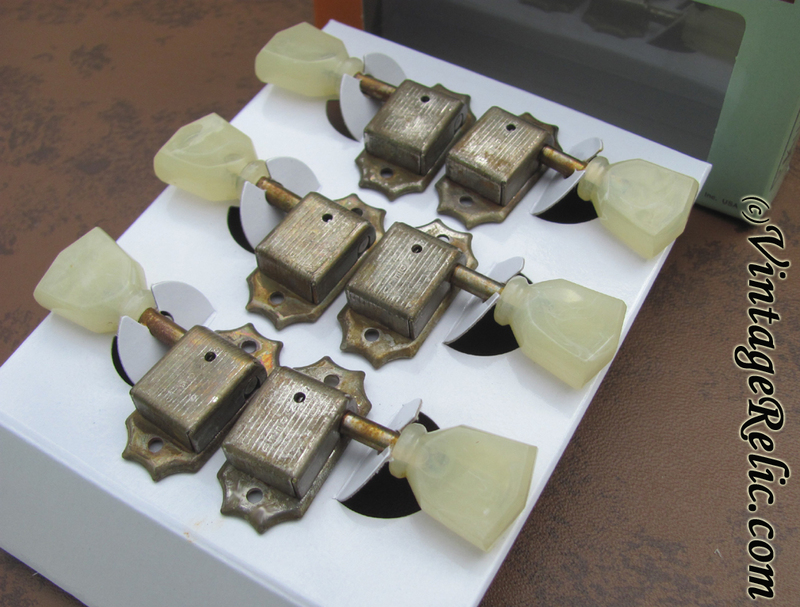 Includes 6 tuners, 6 bushings, and 12 mounting screws. Great replacement for your vintage tuners or your Historic Les Paul or ES-335; just like the originals but with improved 15:1 tuning ratio. 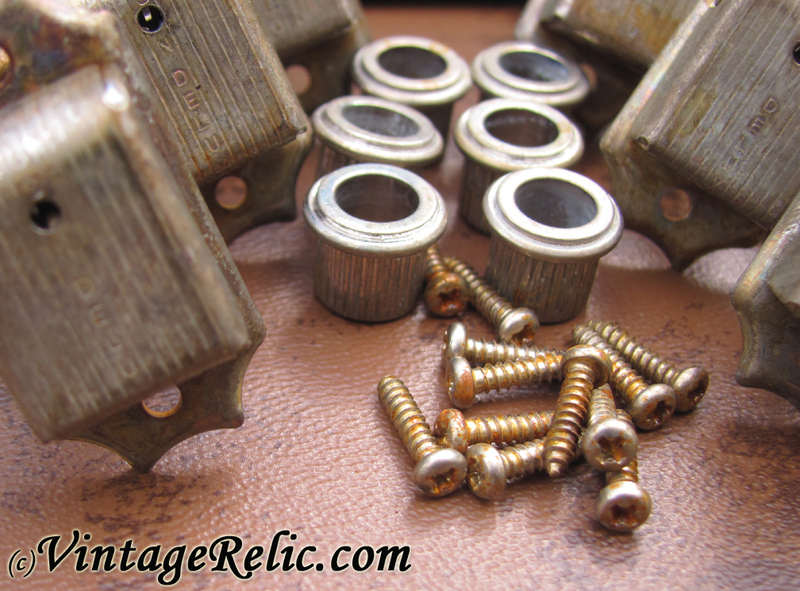 Bushing dimensions: 8.8mm (outside), 1/4" (inside).